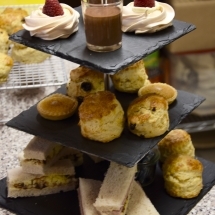 Each includes a lovely selection of delicious finger sandwiches, home baked scones and cakes Presented on a three- tier Cornish slate stand. Our standard afternoon tea is great value at £12.50 including a pot of Cornish Tregothnan tea per person. 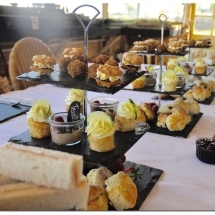 Lastly, but definitely not least, is the Trevallick’s Gin taster afternoon tea . 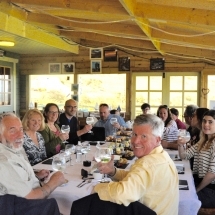 All the delicious food combined with 4 Cornish Gins, served with the producers recommended accompaniments. At only £25.00 per person ( minimum booking of two people) it offers fantastic value and has received nothing but 5 star reviews. 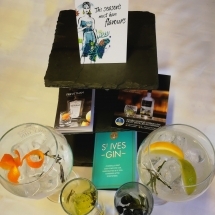 You can also purchase your favourite Gin with a 10% discount on the day .